As a general dental practice, we offer the full range of services you require to maintain oral health. We specialize in private orthodontic treatments including Invisalign and Inman aligner. We also offer implant treatments. More detailed information is available in the Your Health. We will conduct a thorough oral examination and may need to take X-rays. We will inquire as to your medical history and discuss any particular problems or pain you may be experiencing. We will endeavor to prevent problems arising wherever possible. 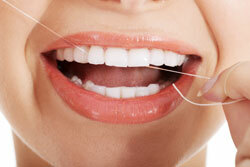 Oral health care advice will be given specific to your circumatances. 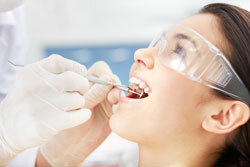 To ensure you and your teeth receive the best care you should visit your dentist every six months. Where tooth decay is apparent, either through visual inspecion or via an X-ray then a filling may be appropriate. 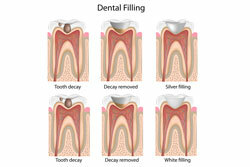 The filling removes the source of tooth decay arresting any further deterioration in the remaining tooth. 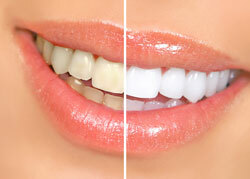 White fillings can be administered to give a more natural look. A crown sits over a tooth that has been broken or weakened helping to restore the tooth to its proper strength and natural shape. A bridge is used where one or more teeth is missing. The bridge helps to maintain the position of surrounding teeth and restore appearance. If tooth decay has reached the tooth nerve this often causes pain and discomfort. 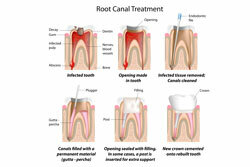 Root canal treatment can save your tooth preventing the need for extraction and subsequent bridge. Can be fitted where natural teeth are no longer present. 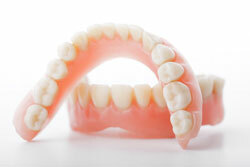 If you have dentures you should still have regular check-ups to ensure the gums are remaining healthy. 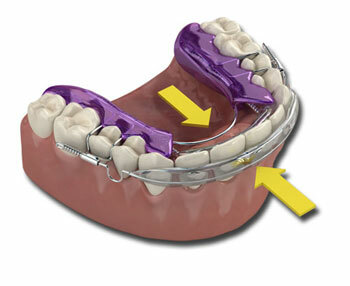 In cases of crowding or protrusion there are aligner solutions that are very safe and fast acting. We specialize in private orthodontic treatments including Invisalign and Inman aligner. 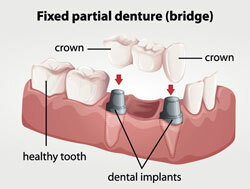 We also offer Implant treatments. We can help to improve the brightness and appearance of your teeth using the latest techniques in tooth whitening. 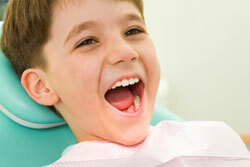 Children should see a dentist regularly as soon as they have teeth. Children receive free treatment for all NHS services.